TVS Sydney is editing an afternoon of filming Alan's walking and interviewing him. 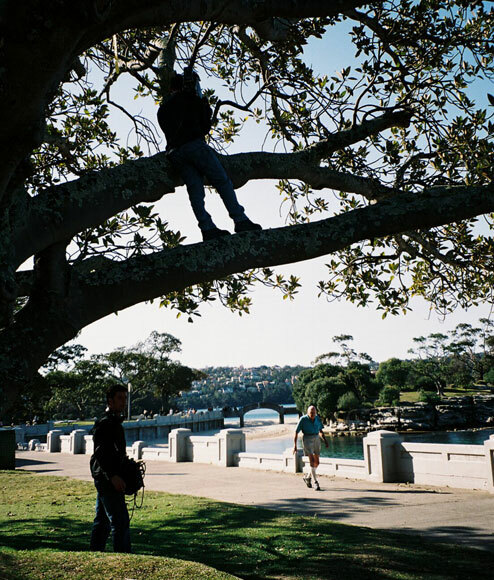 It is expected to be screened around the end of the month in the "Couch" programme, which looks at unusual happenings in Sydney. The producer wrote that "it was one of the most enjoyable shoots we've experienced", adding that Alan "was fantastic, a natural in front of the camera, and we all thought his sense of humour and energy was something to be marvelled at." Click on the “Watch video” link at the end of the first paragraph to view the segment (there will be a short advertisement first). Presenter Jules Lund interviews Alan at Clifton Gardens for Getaway. Filming for the Nine Network's Getaway was disrupted when a group of nursing home ladies on a bus outing demanded his autograph. Jules and Alan climb steps in the former navy base at Clifton Gardens. 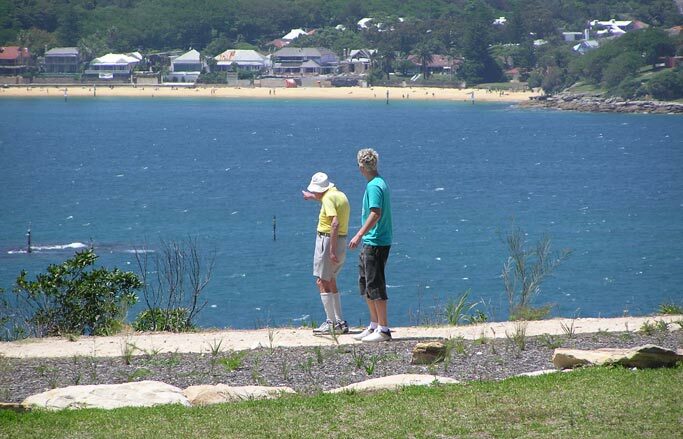 From the Clifton Gardens to Georges Heights walk there are magnificent views across Sydney Harbour to Vaucluse and Watsons Bay. 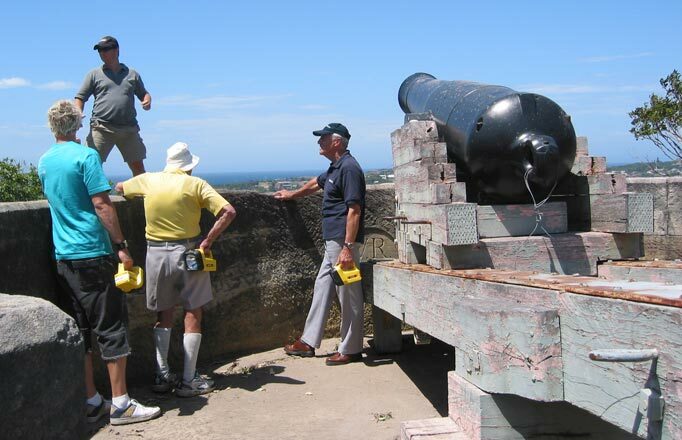 Georges Heights was a gun base intended to defend Sydney Harbour before and during the two world wars. 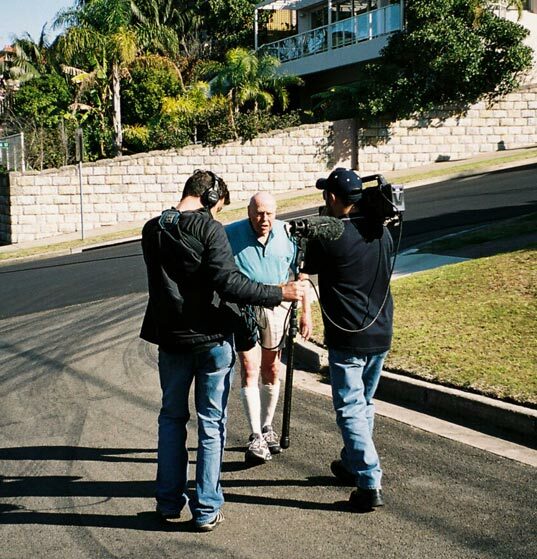 Alan is interviewed in Bates Street, Birchgrove, for Channel 31's Couch programme. In this breakfast programme Alan Waddell faced well-known personalities David Koch and Melissa Doyle. He appeared quite relaxed even though it was a live, national telecast, seen by nearly half-a-million people. 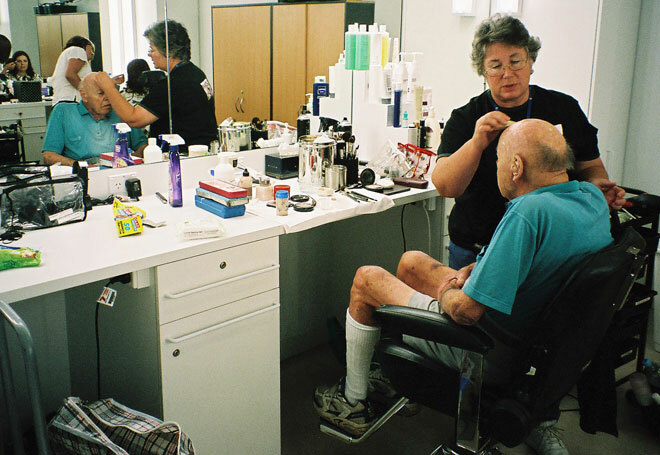 Alan in the make-up room, 30 minutes before going on air. 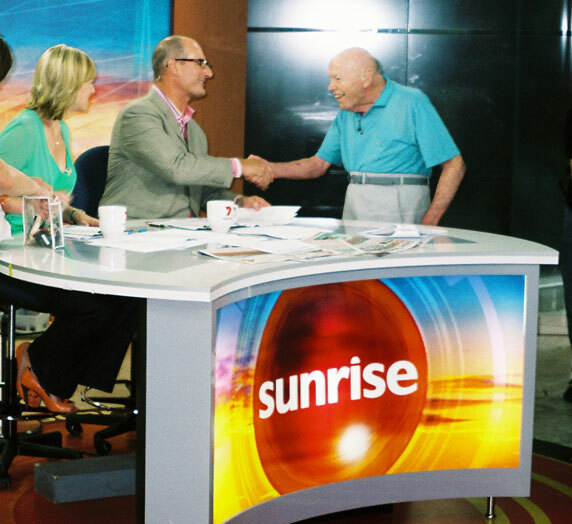 Alan is welcomed to the Sunrise set by Melissa Doyle and David Koch. The production of Sunrise is based right in the centre of Sydney, in Martin Place (seen through the glass at the left of centre of the photo). At the left, people passing by pause to look through the studio's glass walls. This Today Tonight's segment was also telecast by Sky News throughout Australia and New Zealand. 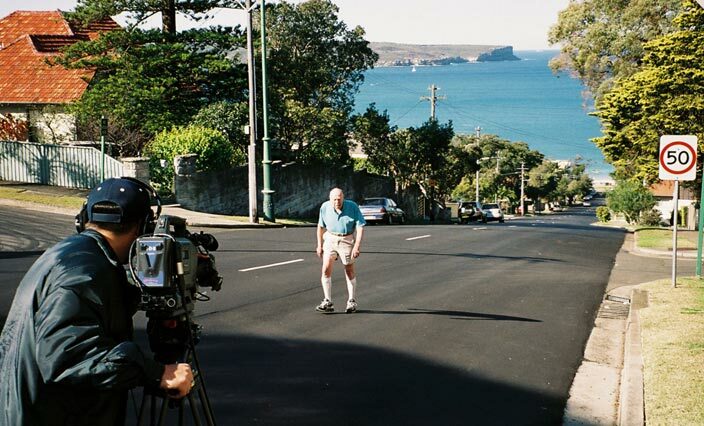 Alan climbs a steep hill for the fifth time for Channel Seven cameras. "The cameraman made me walk and talk without looking at him and the sound operator. This was while they were walking backwards one metre in front of me," said Alan, wondering whether the cameraman had fallen out of his tree.